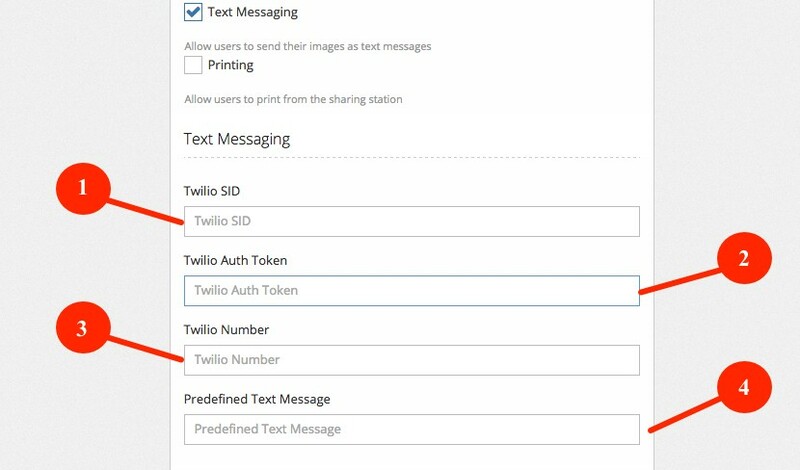 Learn how to setup a Twilio account and enable Text Messages as an event sharing option within PicPic Social. 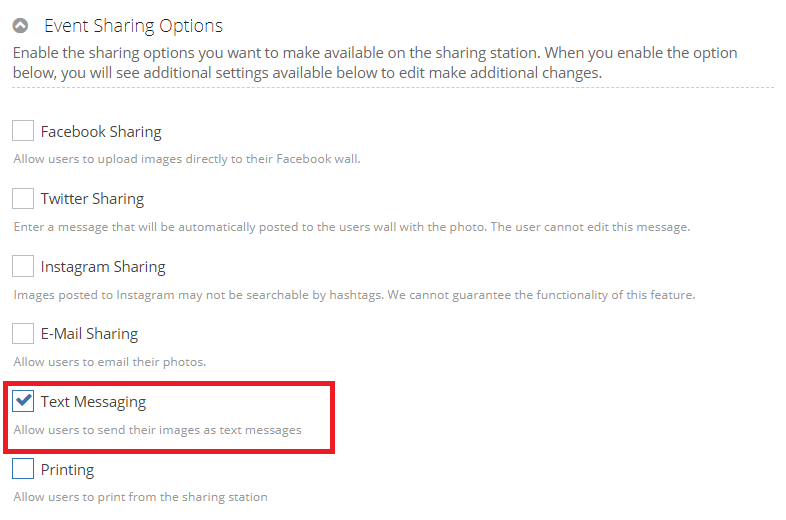 You will need to set up an account with Twilio before enabling the SMS feature of PicPic Social. Twilio is a service that will allow users to send their event photos to themselves using PicPic Social via SMS (text messaging). 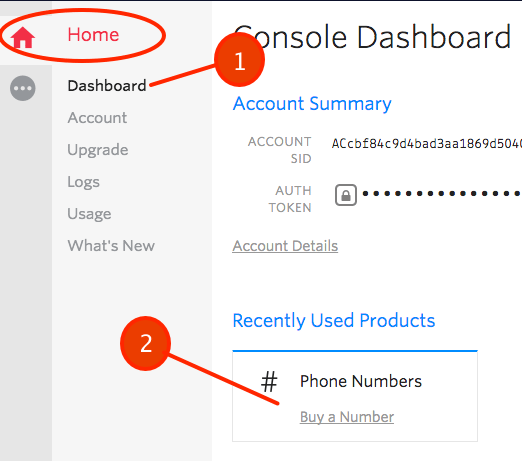 This guide will walk you through setting up both your Twilio account and properly configuring your event settings with PicPic Social. IMPORTANT NOTE: Twilio pricing is $1 per a month for each phone number purchased and $.02 for each text sent. Click here to begin signing up for Twilio. 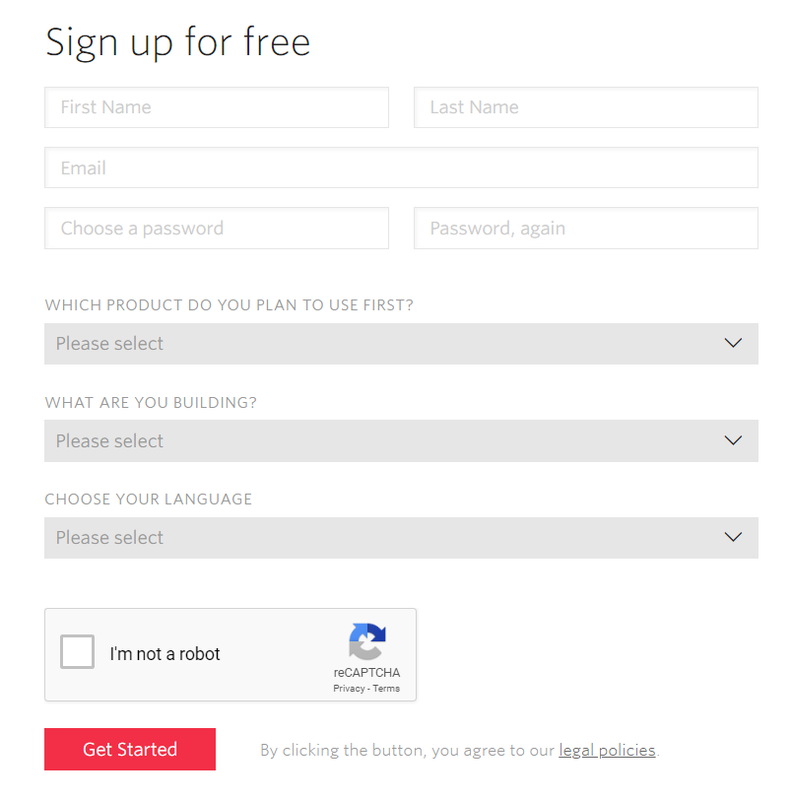 Fill out your personal information and create a log in for Twilio. Once you are done click GET STARTED. Twilio will then request to verify your identity. Enter your phone number as requested and the select whether you would like to receive your verification code via Text or you can request a phone call. 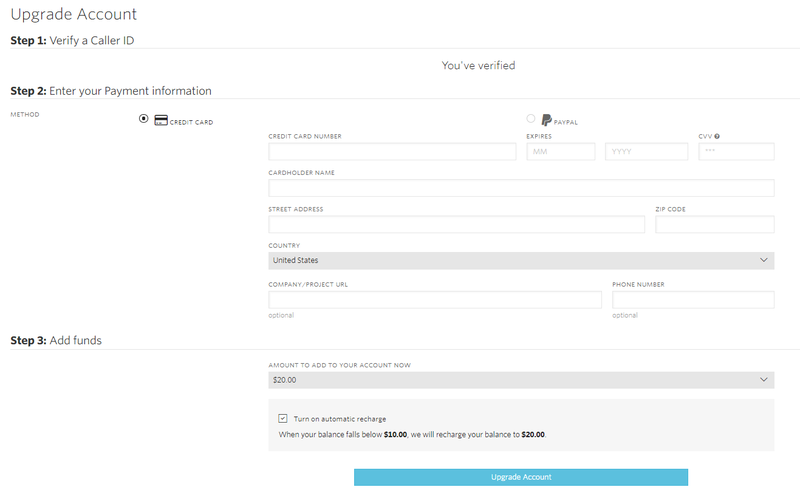 Once you receive your verification code please enter it in the Verification Code field and then click Submit. Welcome to your Twilio dashboard. Right now your account is in trial mode. Click the Upgrade button on the right hand side of the screen. This will allow you to enter your payment information so that you can purchase a phone number. Fill out all of the payment information that it request in the Upgrade Account section. Enable the check box that allows auto-recharge. Click Upgrade Account once you are done. You can now obtain your credentials. Click the Dashboard field if you aren't already there. Then click on the option to Buy a Number. You will now be able to choose your Twilio number. Type in your area code or location. Click Search and choose one of the numbers that is populated for use. You now have a Twilio number. Login to your PicPic Social dashboard here and create a new event or edit an existing event. Twilio SID - Copy and paste your Twilio SID from the Console Dashboard's Account Summary above. IMPORTANT NOTE: Make sure you do not copy extra space from your SID, Auth Token & Number. You will receive an error if you leave any spaces before or after the Twilio credentials. Scroll down to the bottom of your event and click Update Event or Create Event if you are making a new event. IMPORTANT NOTE: Remember to press UPDATE on the Device Server to see the changes reflected on the Sharing Station if you are editing the event.